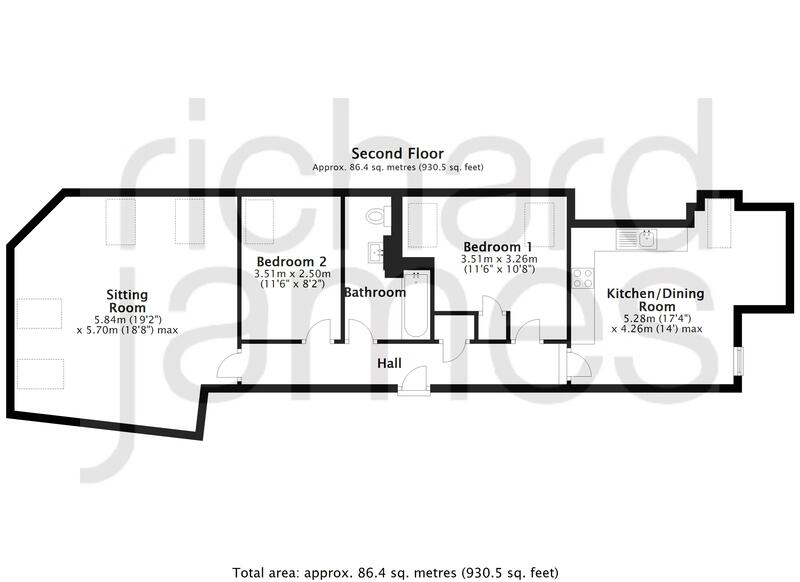 Richard James are delighted to offer this well presented and spacious Two double Bedroom, top floor apartment. Conveniently situated in the heart of Swindon, within walking distance of all amenities and the main Railway Station. The apartment offer over 900qft of Living Space and comprises Communal Hall with secure intercom entry system with staircase rising to floors; Hall, a superb 19' dual aspect Living Room, spacous 17' modern fitted Kitchen/Dining Room with integrated appliances, Two Double Bedrooms and Bathroom, with modern white three piece suite. Further features include Double Glazing, Radiator Heating, allocated Parking Space and is conveniently Sold Free of Chain! An internal viewing of this property is highly recommended by the vendors Sole Agents.